Deontological ethics recognizes a number of distinct duties, such as those proscribing the killing of innocent people (murder) and prohibitions on lying and promise breaking. Deontology maintains that the wrongness of (some) actions is intrinsic, or resides in the kind of action that it is, rather than the consequences it brings about. So, for example, an act of killing an innocent man is wrong because it is the killing of an innocent man, rather than because it deprives someone of future happiness and causes grief to a family. In this, deontological ethics is opposed to consequentialism, which defines the moral rightness of an action in terms of the consequences it brings about. It seems fair to say the ordinary ethical thinking, at least that of the Judeo-Christian religious tradition, is deontological in character. The Ten Commandments, for example, constitute a set of deontological constraints on action. The main problem for deontology is to explain just why people are prohibited from certain types of actions even when disobeying the rule is known to bring about much better consequences. Deontologists think that moral action is essentially about following a set of rules that forbid or require certain actions. These rule specify actions that are known to be right or wrong in relation to the rule in question. Since deontologists equate right or wrong action with obedience or disobedience to moral laws, they see rightness or wrongness as intrinsic to certain types of actions. Someone is considered as having done moral wrong, for example, when his or her act intentionally deceives (i.e., a lie) or intentionally harms someone. The wrongness of such an act does not depend on the consequences of the action. This feature of deontology—rightness or wrongness is an intrinsic feature of certain types of acts—is to be contrasted with another ethical theory which denies it, namely, consequentialism. According to act consequentialism, an action is right if and only if it produces the best overall consequences. This means that according to act consequentialism the wrongness of telling a lie or intentionally harming someone depends on whether these actions produce good or bad results. A lie that prevents suffering might, by the consequentialist’s lights, be the right thing to do. This is because consequentialists claim that the rightness of an action depends entirely on the value of the consequences brought about. In contrast, according to the deontologist, one should not tell a lie even if the consequences of telling the lie are better. Rather, telling lies is wrong simply because it is wrong to tell lies. Deontologists usually concentrate on moral rules formulated negatively as prohibitions. Prohibitions are rules that forbid us to do certain things. "Thou shall not murder" is a typical example of a deontological prohibition. Deontologists also recognize positive duties to alleviate suffering and to tell the truth, but do not generally hold the positive requirements to be quite as important as the prohibitions. Deontologists see the distinction between negative duties (prohibitions) and positive duties as dependent on the distinction between acting and refraining from acting (see duty). For example, a prohibition on murder requires one to refrain from killing innocent persons, whereas a duty of beneficence requires one to actively go about trying to do good for others. One might, for example, fulfill a positive duty of beneficence by working in charity organisations on the weekends. Negative duties place limits on what one is permitted to do, and in this respect require one to refrain from acting in certain ways. By contrast, positive duties require action, active effort, in order to fulfill them. Deontological theories generally regard negative duties (prohibitions) as inviolable, whereas positive duties have a much less rigid range of applicability. Kant characterizes this in terms of the difference between perfect and imperfect duties. He argues that a duty to refrain from lying (negative) is a perfect duty whereas a duty of beneficence (positive) is an imperfect duty. Perfect duties obligate us strictly: People are always required to refrain from lying; imperfect duties are open: People are sometimes required to do good for others, but not always. Another way of putting this point is in terms of the concept of moral closure (Davis 1993, p. 209). If a moral theory achieves moral closure, it prescribes that every action is ether right or wrong. Act Consequentialist theories achieve moral closure. For example, since the classical Utilitarians appraise every single action according to the amount of net pleasure brought about, a seemingly innocuous action such as going for a walk may be regarded as a wrong action if there were other available courses with greater utility. Deontological theories do not achieve moral closure; they require one to refrain from wrongdoing, but once those duties have been met, allow considerable room for personal projects. It is, for example, permissible to work in one’s garden on the weekend, even though charity work would bring about greater impartial benefit. Deontologists, therefore, believe that morality allows a person much leeway in order to engage in his or her own activities and projects. Once one has met the prohibitions, conditions that limit one’s behavior, one is permitted to engage in other activities, which do not maximize the good. 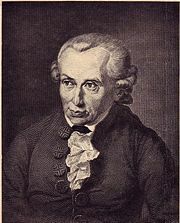 Some deontologists, such as Kant, argue that all commonly recognized general duties may be derived from a more basic principle. For Kant, the supreme principle of morality is known as the Categorical Imperative, and all higher-order principles, such as prohibitions on lying, may be derived from this fundamental law. Kant provides several variations on the Categorical Imperative, but employing the formula of humanity—"treat humanity…never simply as a means, but always at the same time as an end" (Kant,  1903: 429)—he would argue that deontological constraints can all be understood as deriving from the respect which we owe to rational agents in virtue of their rationality. Other deontologists such as W.D. Ross, while recognizing a variety of moral duties, deny that there is any overarching explanation for why these are our duties. Ross appeals to the variegated nature of common moral thinking, and present his theory as mapping closely on to moral common sense (Ross's ethical theory is one version of Intuitionism). It is important to distinguish deontological moral theories from absolutist moral theories. Moral absolutism is the view according to which some actions are wrong whatever the consequences. Moral absolutism about lying, for example, would say that the lying is always wrong, whatever the consequences. Moral absolutism differs from deontology in the following way. Absolutism endorses two claims: (1) some actions are intrinsically right or wrong; (2) the consequences of an action of this sort (e.g. lying) can never override its intrinsic rightness or wrongness. A deontological ethical theory is committed to (1) but not to (2). All absolutist theories are therefore deontological, but not all deontological theories are absolutist. Although deontological ethical theories are not necessarily absolutist, some important deontologists have been. Kant’s infamous discussion of the inquiring murderer suggests that he held that the deontological constraint on lying is absolute. An important contemporary deontologist, Charles Fried, endorses absolutism in the following passage: "Ordinary moral understanding, as well as many major traditions of Western moral theory, recognize that there are some things which a moral man will not do, no matter what…It is part of the idea that lying or murder are wrong, not just bad, that these are things you must not do—no matter what. They are not mere negatives that enter into a calculus to be outweighed by the good you might do or the greater harm you might avoid. Thus the norms which express deontological judgments—for example, Do not commit murder—may be said to be absolute. They do not say: ‘Avoid lying, other things being equal’, but ‘Do not lie, period’" (Davis 1993, p. 205). Other deontologists, such as W.D. Ross hold that one may in exceptional circumstances break deontological constraints. Ross distinguishes between prima facie duties and what he calls duties proper. The concept of a prima facie duty is the concept of a duty, which though it is a significant reason for not doing something, is not absolute, but must be weighed up against other duties. A duty proper refers to the action that must be done when all the prima facie duties have been considered and weighed. To illustrate, Ross thinks that people have duties to keep their promises, and duties of benevolence: These are, then, prima facie duties. Insofar as these prima facie duties come into conflict (and one cannot keep a promise and act with benevolence), one must decide on the basis of contextual details, which of these duties is most pressing. The action which is judged to be, all things considered, the right thing to do, is the duty proper. Ross’s theory is an example of a moderate deontology, that is, deontology without absolutism. What sorts of duties do deontological theorists endorse? Deontologists normally recognize two classes of duties: (1) general obligations and (2) special obligations. General prohibitions include many of the commandments endorsed by Judeo-Christian religious thinking, including prohibitions on lying, cheating, promise breaking, murdering, and torturing. One might say that they are general because they are owed to all human beings. By contrast, special obligations are those obligations which derive from one’s having made a promise, signed a contract, or as a result of occupying a social role such as being a teacher or doctor or a parent. It is easy to see that these obligations do not bind everyone in the same way. If one has made a promise to do something, say, to wash the dishes, then this gives you a reason to do it, a reason which does not bind someone who has not promised. Similarly, a teacher is required to perform actions not required of everyone simply in virtue of being a teacher. This entails that the identity of the agent often seems relevant to ascertaining what he or she is obligated to do. Another significant feature of deontological ethical theories is that they are agent relative moralities. Agent relativity may be contrasted with agent neutrality. An agent neutral theory says that the identity and perspective of the agent does not affect the rightness or wrongness of an action in a particular situation. 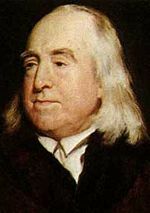 Classical Utilitarianism is an example of an agent neutral theory. The Principle of Utility prescribes that an action is right or wrong according to the overall value (or disvalue) of the consequences. The presumption here is that it is possible to determine how much pain an action brings about, and this calculation does not depend on any particular vantage point. Classical Utilitarianism is an agent neutral moral theory because overall happiness is the only factor that needs to be weighed in determining what one ought to do. The identity and interests of the actor is disregarded is determining the rightness of the action. In contrast to an agent-neutral morality, an agent relative morality says that the identity of the agent does make an essential difference to the rightness of the act. Deontological moral theories may be seen to be agent-relative in two ways. One way is that they recognize the existence of special obligations, and here, the identity of an agent makes a crucial difference as respects to what he or she is required to do. One may be required to do the dishes because he has promised, or grade a stack of term essays because she is a teacher. A deontologist will argue that special obligations are relevant to deciding what one ought to do. These obligations are bound up with the identity of the agent, and in this respect a deontological theory is agent relative. This point may seem obvious, but has some significance. Since, according to a Classical Utilitarian, the right action is one that brings about the best consequences, it follows that fact that one has promised to do something is binding only insofar as it is the action that maximizes utility. A deontologist will find this counter-intuitive and argue that the fact that one has promised to do something makes a difference to whether an action is right or wrong, quite independently of the value of the consequences brought about by fulfilling the promise. This is because (some) duties are relative to the agent, and depend on facts about the agent’s context and history. The agent-relativity of deontological moralities emerges in another way too. As already noted, deontological ethical theories prescribe that certain actions are wrong simply in virtue of the actions they are. One should not kill an innocent person even if the consequences of not doing so are very grave. This is a constraint on what a particular subject is permitted to do: Deontological constraints say, for example, that "thou shall not murder;" they are addressed to the individual moral agent. This entails that the agent ought to be most concerned with refraining from murdering, rather than, say, the overall number of murders committed by other agents. This make deontology agent relative since what is ruled out is your murdering rather than murders per se. Your killing of an innocent person is held to matter more than an innocent person’s being killed (say, by someone else). There is here an important connection with the distinction between acting and refraining to act (see section 1) since a deontologist thinks that it is much worse that someone, the agent, commit a murder, than someone, the agent, allow a murder to be committed. The deontological requirement against murder prohibits one from murdering; there is no straightforward counterpart requiring one to go about preventing murders. To illustrate this, consider an example where someone is faced with a terrible moral choice between, either, killing one innocent person, or allowing ten other innocents to be killed by someone else. (This case is a close variation on Bernard Williams’ classic "Jim and the Indians" example.) A consequentialist ethical theory will look to the consequences of the alternatives, and here it seems that one is faced with a relatively easy decision to kill the one innocent person in order to prevent the others being killed. The point of the example is that from an impartial perspective, that of an agent neutral morality, the discrepancy in value is substantial, and the right action rather obvious. A deontologist will say that this ignores the crucial detail that a particular agent must intentionally kill an innocent person, that is, commit a murder; and here the deontologist will insist that it matters morally, just who it is that is doing the killing. In this sort of case, people are going to be killed in both outcomes. However, the point is that the deontological constraint says that one should not kill an innocent person (even to save other innocents); and this implies that what matters most morally is one’s not killing an innocent rather than innocents being killed. Since deontological prohibitions regulate killing, deontology is agent-relative. The impartial fact that there will be more killings if the subject does not kill the one innocent is overridden by the importance of honoring the absolute prohibition on murder. This fact that the agent of certain types of acts seems to matter quite independently of the objective consequences of the action is called moral integrity. There are some things that we cannot be expected to do, if we are to preserve ourselves as moral agents, and refrain from committing intrinsically wrongful actions. Opponents of deontological ethics do not cast this property of deontological theories in such a positive light, and call it "keeping one’s hands clean." Nancy Davis sums up this point as follows: “Deontologists … not only assign more weight to our own avoidance of wrongdoing—where wrongdoing is understood as violating the rule—than to the interests of others, they also require that we assign more weight to our own avoidance of wrongdoing than we do to the avoidance of wrongdoing tout court, or the prevention of wrongdoing of others” (1993, p. 207). Kant’s Moral Philosophy in the Stanford Encyclopedia of Philosophy. Personal Autonomy in the Stanford Encyclopedia of Philosophy. Respect in the Stanford Encyclopedia of Philosophy. Categorical Imperative in the Catholic Encyclopedia. This page was last modified on 26 October 2017, at 15:28.